After having experienced old spas the way Romans would never do (3 queues, audio guides and a ‘do not touch the water’ policy) we needed a break before plunging into a real spa. 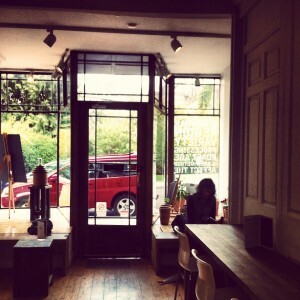 Collona & Small’s seemed like the place to choose in Bath. As soon as you enter you feel the positive vibe – these guys are dead serious about coffee, except that they are not dead serious at all. They are super friendly and helpful. C&S ticks so many boxes that I feel dizzy. Not what I expected from our short stay in Bath. Bright interior, wooden natural feel, amazing coffee selection, lots of cake and pastry options (including gluten free options). My Bonsoy flat white is good, but not the best I’ve ever had, however the Ethiopian espresso is simple perfection. I feel like I am in coffee heaven – how much do apartments in Bath cost? C&S really surprised us. 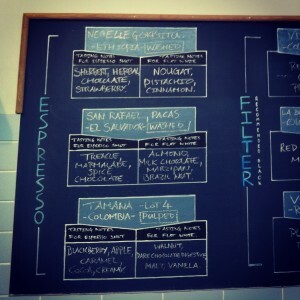 Usually it’s hard to find a good coffee in the UK outside of London, but we were proven wrong. This place really knows how to do coffee. 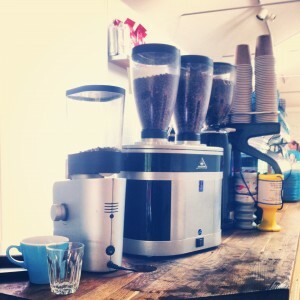 They use a La Marzocco Strada and offer ten changing specialty roasters from around the UK.